The organisers of the racing around the Billown Course in the Isle of Man, Southern 100 Racing have taken the decision to ban the use of ‘selfie sticks’ during practising and racing at the Isle of Man Steam Packet Southern 100 Diamond Jubilee International Road Races which take place on 6th, 7th, 8th & 9th July, 2015. There's also the possibility of the camera or phone becoming detached and falling onto the track. ‘Please remember this while you're enjoying the racing at this years Diamond Jubilee Southern 100. 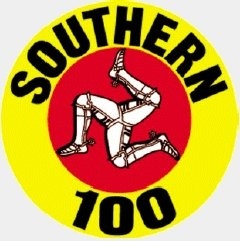 Southern 100 Racing would also like to remind the Media, fans, enthusiasts and spectators that drones are not permitted due to close proximity of the Isle of Man - Ronaldsway Airport and that remote cameras can only be used by accredited media with authorisation of the Press Officer.